Natures Defender is a Biting Insect Spray For People, Pets, & home! 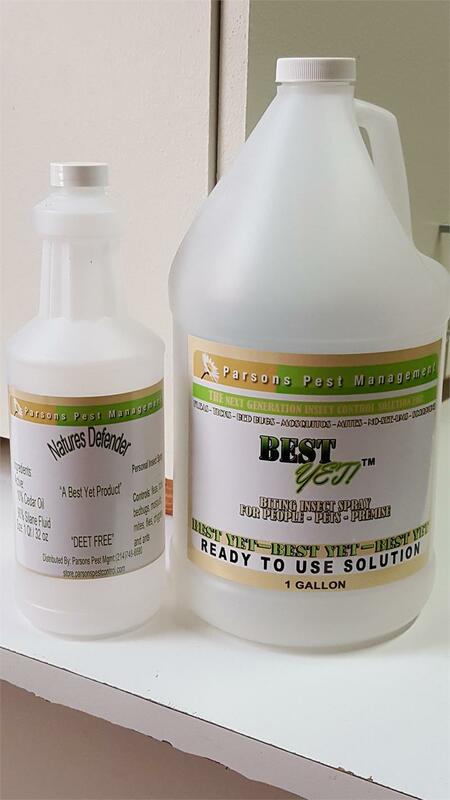 The "best yet" against bug problems of all kinds! When applied with a ULV fogger, 1 Gallon of Best Yet will cover 1000 Sqft. A friend on mine was in my shop yesterday and had poison Ivy on his wrist and he sprayed some Natures Defender and right away fluid started coming out of the little blisters and by he time he left the shop the blisters were gone.